I keep having a very stressful recurrent dream. During Iran/Iraq war, we all left Iran. We had to pack with a minimum of my belongings and move on. This event has haunted me for life and I keep dreaming about packing, I have to arrange a lot of stuff, dress, furniture in two suitcases. This dream is very stressful and sad. I had this dream four times last week in very different situations. I would like to know why is this repeating so much and what does it mean? Having worked for twenty three years as a psychotherapist in private practice, I have seen many people with post-traumatic stress disorder. One of the first dream interpretations that I posted at the IIDR website was a dream about the traumatic consequences of the "Oklahoma City bombing" (read interpretation). Other interpretations include "Spectacular Suffering" about the dreams of Children of Holocaust Survivors, the "Rwandan Genocide", and 9/11 "Fear and Loathing in the Global Village" all attest to the traumatic effects of terrorism and war. Psychological injuries can be found in our dreams, and are much more prevalent than one would expect. In some cases the injury can lead to "post-traumatic stress disorder" and major depression. From a legal perspective these injuries are known as "personal injuries". As such, "pain and suffering" can be viewed from both a physical as well as an emotional perspective. 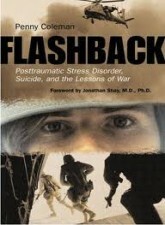 Psychological trauma can cause involuntary "flashbacks" to the traumatic memory. The traumatic memory acts like a psychological and emotional knot in memory, time, and space that the mind cannot cope with, or untangle. The traumatized brain is unable to cope and consolidate the traumatic memory. The ensuing neuropsychological dysfunction creates a variety of psychosomatic symptoms which can include intrusive thoughts, dissociation and flashbacks. Re-living painful memories through nightmares can lead to a further traumatic fragmentation of memory. This in-turn can cause cognitive-emotional problems with working memory. The mind seems in an endless psychological conflict to remember and forget the emotionally painful memory. The desire is to forget the "horrors of life", is met by the need to remember. When the traumatic memory cannot be consolidated a vicious psychological circle is created which Freud called a "repetition compulsion". This dissociating repetition compulsion is played out in thoughts, feelings and in dreams. The severity of the psychosomatic dissociation feeds into a variety of "dissociative disorders" of mind, body and memory. The deleterious psychological effects of Iran-Iraq war and stress can still be seen playing itself out in your on-going post-traumatic "nightmare disorder", despite the fact that the war itself is long over. The psychological effects of the nightmares of war are clearly not. Many like yourself are walking psychologically wounded. And yes, I agree that the feelings that you feel about your traumatic memory are ones that understandably make you feel "sad". 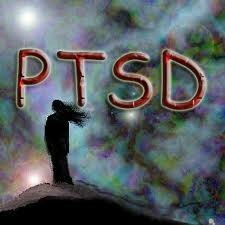 Help is available to ease your psychological and emotional pain.